In We’re No. 1, The A.V. Club examines an album that went to No. 1 on the Billboard charts to get to the heart of what it means to be popular in pop music, and how that concept has changed over the years. In this installment, we cover Jean Knight’s “Mr. Big Stuff,” which went to No. 1 on the Soul Singles chart in 1971, where it stayed for five weeks. 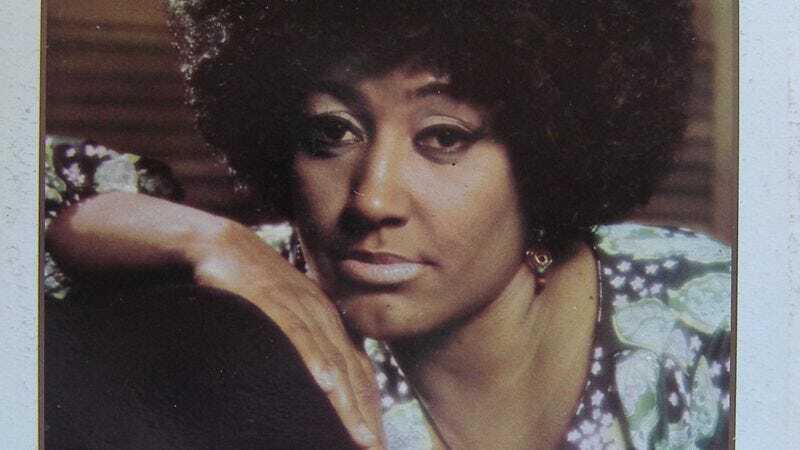 Jean Knight, best known for the soul classic “Mr. Big Stuff,” is the second type. Over the years, everyone has come to know the song from the radio, commercials, and movie trailers, and those years of exposure have probably made us immune to its charms. To listen to it anew is to notice its confidence: That undeniable groove is there from the start, and Knight sounds completely without shame or vulnerability throughout the track’s two minutes and 45 seconds. In the book Soulsville, U.S.A.: The Story Of Stax Records, Stax staffer Tim Whitsett described how he fought for Knight’s track to be reconsidered. “It was different,” he said. “It was a novelty thing. It wasn’t like the Stax stuff and no one quite knew what to do, but because I was jumping up and down about it, they thought, ‘Well, maybe we’ll give the guy [a shot]. We can always fire him if it flops!” It did not flop. “Mr. Big Stuff” was an enormous success in the fall of 1971, eventually reaching No. 1 on the Billboard Soul Singles chart (and No. 2 on the pop chart). Though the song’s success was a surprise to most at Stax, its popularity makes perfect sense in retrospect. The song was only four years removed from Aretha Franklin’s groundbreaking version of “Respect” and released two months before the formation of the National Women’s Political Caucus, an organization founded by Gloria Steinem, Bella Abzug, and a handful of other notable feminists focused on using political action for women’s rights. Only two years after its release, the Roe vs. Wade decision was passed. In its takedown of one man who treated women cruelly and callously, the song was also about the archetypal chauvinist, and to those supporting the Equal Rights Amendment, it must have felt like a rallying cry. So what exactly makes “Mr. Big Stuff” one of the best records of the era? In addition to Knight’s assertive and charmingly rough-around-the-edges vocals, the song simply wouldn’t work without the interplay between guitarist Jerry Puckett and bassist Vernie Robbins. The two instruments skip around each other in a kind of reggae-funk lockstep that blends wonderfully with Knight’s attitude. The song’s other ingredients—an understated horn section, backup vocals that act as Knight’s posse—work wonders, but it’s the bass and guitar that pull this off. Knight, in stark contrast to her persona of confidence and seemingly unshakable resolve, soon faded into obscurity after “Mr. Big Stuff.” She had a few other singles, but none even remotely as huge as her signature song. Following such a phenomenon would be a huge task for anyone, but it’s hard to hear the song without thinking about what else Knight could have produced, and who else she could have taken down with that voice.